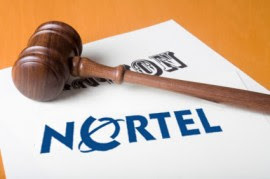 Nortel Placed in receivership, Nortel has auctioned a 6000 patent represents a real treasure chest for any company involved in some way in mobile telephony. While Google had started the bidding at 630 million Euros, it is ultimately a consortium of Apple, EMC, Ericsson, Microsoft, RIM and Sony who won for a mere $ 3.2 billion Euros. A kind of all against Google that worries the authorities right now. The problem is that this consortium, which became known as the Rockstar Bidco, has three companies in direct competition with Google (Android) in the field of mobile telephony: Apple (IOS), Microsoft (Windows Phone) and RIM (BlackBerry OS). This is not the first time these companies come together to counter Google, which has a real problem of industrial property, the sword of Damocles over Android and all manufacturers using this OS: Microsoft, Apple and EMC s 'were already allied to blow the beard and nose Google patents from Novell. The competition authorities are concerned that these alliances can be considered a breach of competition against Google. These patent portfolios are real weapons that can destroy the strategy of the Mountain View Company in mobile telephony: by attacking Samsung, Motorola, HTC and others, Microsoft, Apple or RIM would indeed make Android charge, and decrease of much interest, while Google cannot defend its partners want to have itself a sufficient portfolio of patents. Google has the best role here: she continues to assert itself as opposed to the arms race in the field of patents, but nevertheless participated in the entire major who presented bids in recent months. The Mountain View Company has in fact no choice: "the best defense of society against this type of prosecution is, ironically, to have a thick portfolio of patents, Google is a relatively young company, but our competitors have larger portfolios given their history, "admitted the legal department a few months ago. Google should obviously try to invalidate the sale of a portfolio covering areas as diverse as wireless, Internet search, social networks and new technologies of data transmission for mobile devices. The defense seems to be emerging is that of accusing these companies have allied in order to keep up: if it could fly against RIM, EMC and Ericsson have finally paid unless each bid basis, it should be less effective against Apple. The Cupertino company is not only the company that has most contributed to the pot, but the only company to have never left the table deal with Google - it actually covered financially for Rockstar Bidco they retire no negotiations without formally never join the consortium. A real poker game, it will be understood, which Apple is out to win the pedal.